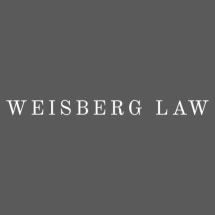 On January 1, 2005, Evan D. Prochniak and Matthew B. Weisberg, Esquires, joined to create Weisberg Law. Each dominating their chosen specialities (litigation v. transactional), these peer recognized attorneys collectively established one of the nation's first true client centered multi-disciplinary, multi-jurisdictional practice. In doing so, they provide detailed "one-stop", affordable representation while continuing their unified mission of always providing individual, professional and sophisticated attention and representation clients deserve and have come to appreciate and expect. With growing offices throughout Pennsylvania and New Jersey, Weisberg Law, specializes in Consumer's and Lender's/Creditor's Rights and Protection, Mortgage Foreclosure (Commercial and Residential), Fraud and Financial Distress/Injury Based Litigation, Business and Real Estate Transactions and Development, Mortgage and Title Insurance Services, Corporate Compliance, Subrogation, and Complex Tort Litigation.